Some of the coolest trends can be spotted during Copenhagen Fashion Week and ROTATE is now on the schedule. 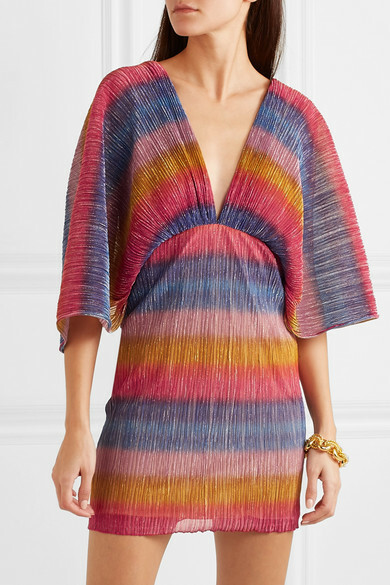 This mini dress is made from plissé stretch-knit spun in rainbow hues with shimmering flecks and has kimono-style sleeves and a plunging neckline. 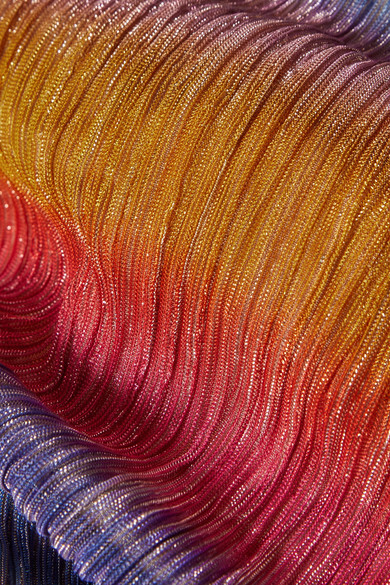 Take cues from the label's founders, Thora Valdimars and Jeanette Friis Madsen, with quirky accessories like headbands and crystal-encrusted barrettes. Shown here with: Paco Rabanne Shoulder bag, Jimmy Choo Sandals.